The children’s library in Sheffield City Centre is right on the lower ground level and has a separate access for pushchair and wheelchairs. It really does feel like a complete separate building to the rest of the library and a little haven for bookworms. Going here to play and read costs absolutely nothing. There’s toys, soft toys, puzzles, ride on, children’s sized table and chairs to sit at, sofas and giant pillows to relax on. Lots of books to read of all types; we love it here. Visit on a Friday at 11 and there’s a free Baby/Story time session 11-12 noon for under 5’s. The location is great – I’d recommend exploring Winter Gardens opposite, Millennium Galleries and Peace Gardens. 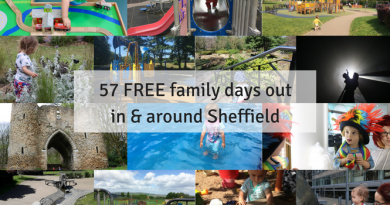 Find out lots more things to do for free/cheap in Sheffield City Centre here. Top Tip: Take a picnic to have in Winter Gardens if the weather isn’t so great, or at Peace Gardens if it’s sunny. 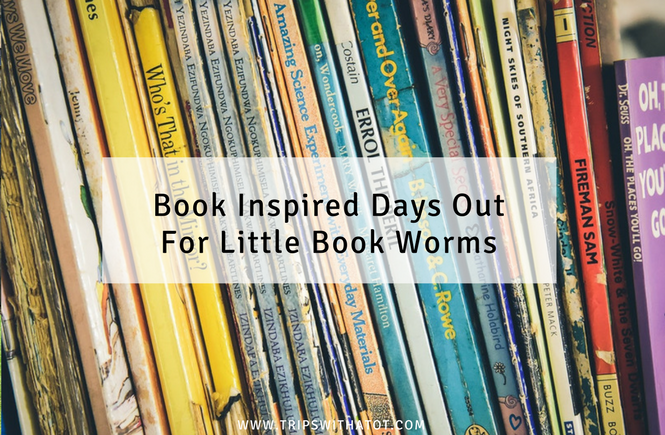 Plus, there’s fountains for water play and shaded areas for reading library books! 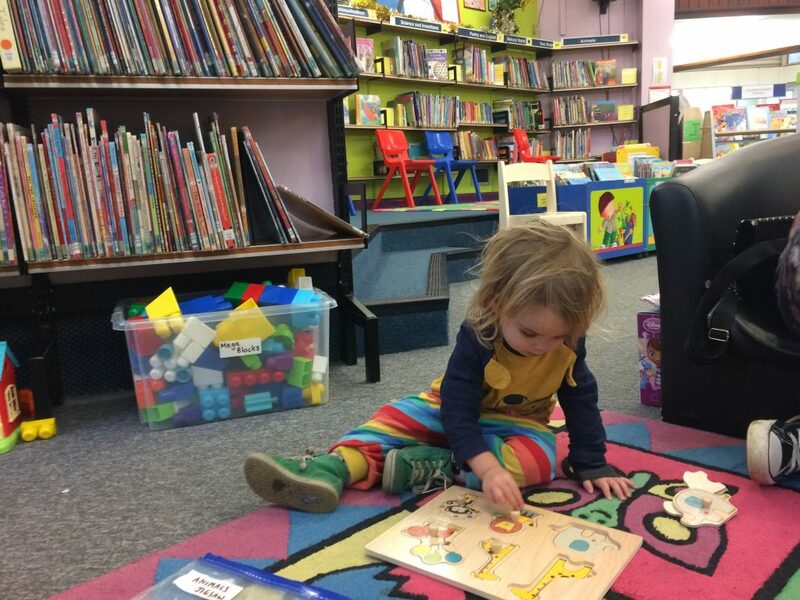 Totley Library has a really fantastic children’s section – well, it takes up half the library building, in fact. There’s so many lovely toys to play with, puzzles, jigsaws, games, huge books, small books, cars, teddy bears, toy sets, crafts, colouring tables and play mats, sofa seats to read on. We’ve spent many a few hours there and it’s a fantastic place especially as it costs nothing. There’s a toddler session with crafts on Wednesday mornings and a community cinema. For another library good for toddlers I would recommend Park Library in S2! This Waterstones is the biggest book shop in South Yorkshire. It’s home to a lovely cafe with a box of toys provided for kids, colouring, high chairs and good cakes. Downstairs in the Children’s area are lovely gifts, toy sets, soft toys, colouring and at times, a slide/climbing frame set. During school holidays there’s free children’s activities such as story times, crafts and games sessions. Up at Ecclesall Road is a beautiful book shop right across from Endcliffe Park. It’s tiny inside but has every book you could think of, book shelves up to the ceiling and a magical atmosphere. There’s boxes and boxes to look through and the most gorgeous gifts. We’ve easily spent an hour here after a visit to the park which has a good playground and cafe, so this makes a lovely day out. 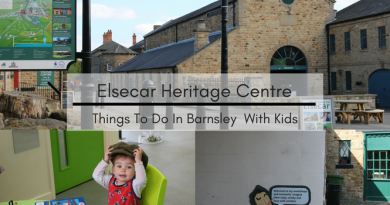 This is one of our favourite days out in general, Eric simply loves the museum, the park and a day out there is always one we rely on. But did you know there’s a good book selection in the Life On Earth gallery, at the back, against the wall with some benches to sit at? We usually spend a while browsing the books and Eric is particularly bond of the dinosaur ones. 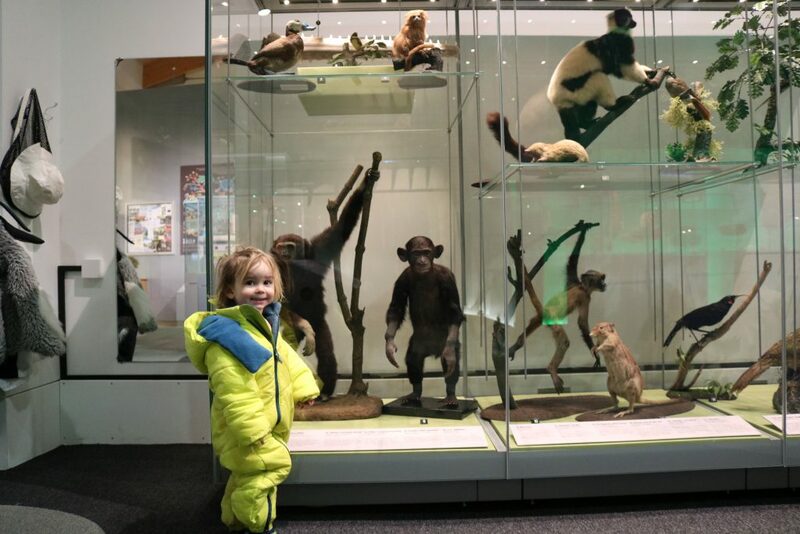 Top Tip: Get this free trail for Weston Park Museum. 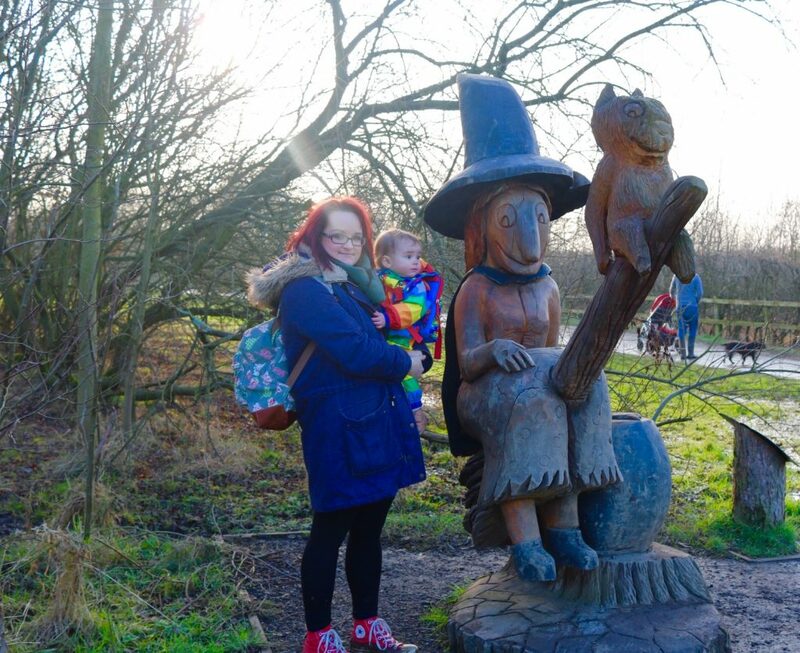 If there’s one thing you have to do, it’s experience this lovely Julia Donaldson book trail at Anglers Country Park in Wakefield. It’s completely free! The trail takes you around the lake and along the way you’ll be able to find (and meet) characters from the book. There’s etchings/rubbings and an activity pack to buy for a few quid from the visitors centre but you can do the trail without this. Top Tip: Take a picnic and it’s very muddy so wellies are a must! The Shop That Must Not Be Named, YO1 7LX. This is the original Harry Potter shop in York and it’s very popular! There’s usually queues outside. Find it at The Shambles, where it is believed to be the inspiration for Diagon Alley. Waterstones, York. The Waterstones shop in York is wonderful for kids and has a really big children’s section, lots of toys, craft/colouring table and a slide with climbing frame. There’s a Highway Rat trail by the Forestry Commission for England at various locations around the UK. Closest to Sheffield is probably Burton-upon-trent. Along the trail are 10 highway rat themed panels, fun facts and activities. The Rainbow Factory, Leeds. This magical place is on our bucket list! The Rainbow Factory specialises in storytelling through creative arts, with games, puppetry, heatre and crafts for children up to 10. Special events and parties are on regularly and at a very reasonable price. There’s even baby and pre-crawlers sessions, messy play and drama! See where Beatrix Potter lived. Her house now belongs to the National Trust, and in the area is Beatrix Potter World in Windermere; a family attraction bringing Peter Rabbit and friends to life. I went there as a child and still remember it which proves how special it is. 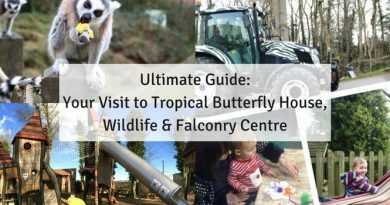 Also in Windmere is Brockhole which has a Beatrix Potter trail, adventure playground, cafe, mini golf and lots more. The Roald Dahl Museum and Story Centre, Buckinghamshire. I really want to go here! The museum is in the same village he lived and worked in, aimed at 6-12 year olds and has three hands on, interactive galleries. There’s storytelling and talks, events, workshops and a cafe. It looks so cute! Is there any I’ve missed and that you would recommend?